#SWITCHSUNDAYS — WETHEPEOPLE BIKE CO. Need some new bars? 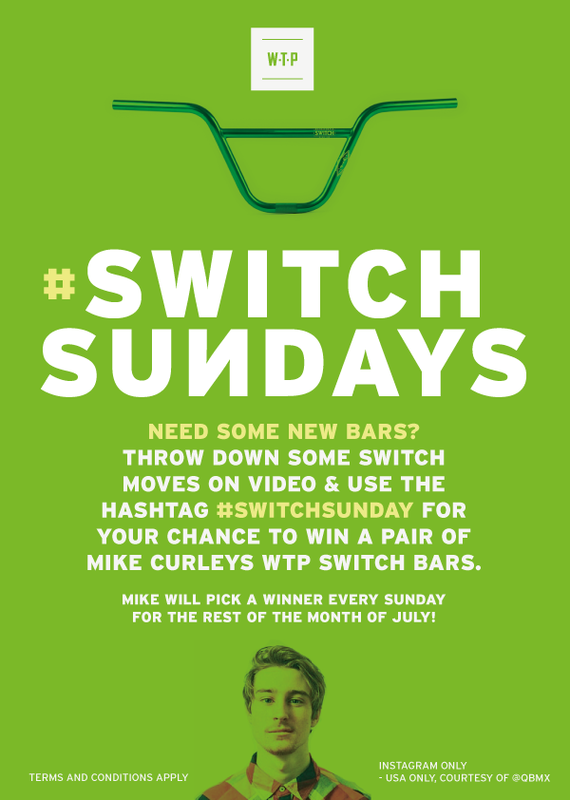 Throw down some switch moves and upload the video on to Instagram with the hashtag #switchsunday for your chance to win a pair of Mike Curley's (@mikecurley1) signature WTP Switch bars. Mike will pick a winner every Sunday for the rest of the month! USA Only, courtesy of QBMX.